At a conference last week, I heard Owen Patterson, Conservative MP and former Secretary of State for Northern Ireland, say that the UK should renege on the “backstop” agreement on the Irish border, given by Teresa May to EU negotiators. He admitted that Irish public opinion ”hates Brexit”, yet seemed to expect the Irish government to make Brexit easy for the UK! That is naive. At the same event, Lord Alderdice, former Leader of the Alliance Party of Northern Ireland, said the Good Friday Agreement came about because the protagonists put the emphasis on developing new relationships between the communities in Northern Ireland, rather than on detailed rules and economic questions. It seems to me that the absence of this sort of broad thinking, in the UK about the EU, led to Brexit. UK public opinion saw joining the EU as a business transaction, rather than as a long term relationship building exercise. When David Cameron decided to have a referendum on leaving the EU, it did not occur to him to call a meeting of the British / Irish Intergovernmental Conference, set up under the Good Friday agreement, to explore how this might affect relations between the UK and Ireland, between North and South and, consequently, within Northern Ireland. This was myopic. It demonstrated a lack of seriousness, which persists. A similar myopia affected the UK relationship with the EU as a whole. UK decision makers saw the EU in purely functional terms, rather than as a means of developing new relationships. 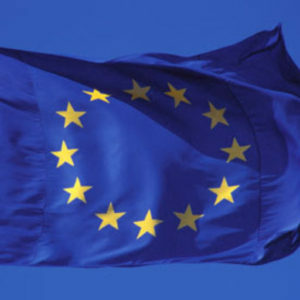 The UK still hopes to negotiate access for itself to the UK Customs Union and Single Market, without joining either of them, and without allowing the freedom of movement of people that all EU members grant to each other, or accepting that the rules will be interpreted by the European Court of Justice(ECJ). This is unrealistic. Any dilution of freedom of movement would require an amendment of the EU Treaties which would require the unanimous agreement of all 27 EU states. This will not be forthcoming. The ECJ is essential to ensure uniform interpretation of market rules, especially in services. UK politicians and opinion formers forget that the EU is a rules based organisation, with a common system for making, interpreting and enforcing the agreed rules. In this, the EU is different from other international organisations. The Treaties founding the EU are the equivalent of a written constitution, which is hard to amend. As the UK has no written constitution of its own, it finds this difficult to accept. These differences in perspective between the EU and UK will continue to cause trouble, unless UK politicians educate their electorate about the nature of the EU. At this stage in the negotiations, the UK is seeking to interpret Article 49 of the Joint Report, the so called “backstop”, to cover the whole UK, and not just Ireland. Reading the paragraph as a whole, it is clear that it is about Ireland, not about the two islands. In any event, there is no possibility of the other EU countries allowing the whole UK to enjoy the benefits of full access to EU markets simply by aligning its rules, but without allowing free movement of people and accepting the jurisdiction of the European Court. The UK government is committed to having a frictionless border in Ireland and is considering two possible customs arrangements with the EU to achieve this. One is called a “Customs Partnership”, which would see the UK collecting the EU tariffs on goods entering the UK, but destined for the EU, and then passing the money on to Brussels. It is hard to see the EU sub contracting its revenue collection to an external power over which it had no control. The Palestinian experience of subcontracting its revenue collection to Israel has not been a happy one. The other customs option, called “Maximum Facilitation”, entails doing the customs controls, currently done at the border, remotely using technology. This technology is untried and there would be data protection and privacy concerns. It would still entail the preparation of customs declarations for all consignments of goods. This bureaucracy will add between £17 billion and £ 20 billion the business costs, or £32 per declaration, according to the UK Revenue authorities. This will make trade unprofitable in many cases. The fact that, even at this stage, the UK has not made up its mind between these options, and has not yet made a detailed proposal is disquieting. The EU will not be bounced into agreeing a half baked proposal, presented just before the Summit, which attempts to evade the consequences of the UK’s own decision to quit the Single Market and Customs Union. Those decisions were taken by the Prime Minister, not by Parliament, and should be reversed. THE IRISH CONVENTION OF 1917…..A LAST CHANCE TO RESOLVE ANGLO IRISH RELATIONS PEACEFULLY……WHY WAS IT LOST? 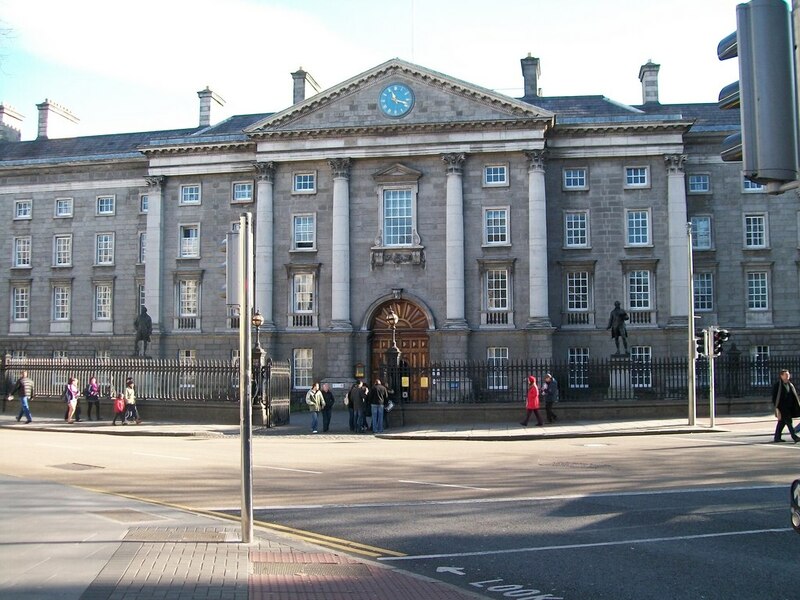 A century ago on Tuesday, on 25th July 1917, the Irish Convention convened in Trinity College to make what would prove be the final, non violent, attempt to agree a basis for relations between Ireland and Britain on an All Ireland basis. Some of the issues the Irish Convention tried to settle one hundred years ago still divide us today…. Should partition be temporary or permanent? To what extent should education be denominational? Should Ireland be free to set its own tariffs on imports, or should Ireland and Britain be in a Customs Union? In a 32 county Ireland, what protection might there be for Unionist interests? The Convention was widely representative. The biggest group in the Convention were the Irish Parliamentary Party, and John Redmond was among the members. It was he who had suggested a Convention, when he rejected a suggestion by the UK government that Home Rule be introduced for the 26 counties only, with the position of the 6 counties left aside for the time being. The Ulster Unionists were present, led by one of their MPs , JM Barrie. Southern Unionists also had representation, and their leading figure was Lord Midleton. There were six representatives of the Labour movement. The members included the Mayors of the major cities, including Belfast, the chairmen of a number of County Councils (including I noted Meath County Council), four Catholic Bishops , two Church of Ireland Bishops and the Moderator of the Presbyterian Church. The President of the Belfast Chamber of Commerce, Mr Pollock, and William Martin Murphy, the Dublin employers leader and owner of the” Irish Independent” , were also among the members. Seats were allocated to the Sinn Fein Party, of Eamon de Valera and Arthur Griffith, but they refused to take them up because the terms of reference of the Convention did not allow for complete separation between Ireland and Britain. Although Sinn Fein was not there, the Convention was a unique gathering together of Irish people of widely divergent goals. Whereas previous attempts to resolve the “Irish Question” had taken place in Westminster in negotiations with British politicians, this was a meeting of Irish representatives, trying to resolve the outstanding issues between themselves, without direct external involvement. In that sense, it was arguably inconsistent of Sinn Fein, with their “ourselves alone “ philosophy, not to take part, because it would have given them an opportunity to put their case to their fellow Irishmen, without what they would regard as British interference. Although the constitutional struggle for Home Rule had been going on for 40 years, and Home Rule had passed into law three years before, the relationship between the Unionist parts of Ulster and the proposed Home Rule Government in Dublin remained a matter of deep contention. Ulster Unionists had, six years earlier, armed themselves to resist Home Rule and they were encouraged in this by the UK Conservative Party, who even tried, in 1911, to persuade the British Army not to take any action against the Ulster Volunteers. It could be argued that this had been a treasonable course for the Conservatives to take. Notwithstanding this activity, the UK Parliament had passed the Home Rule Bill into law in September 1914, but its operation was postponed because the Great War had started a month earlier, and it had been felt at the time that all energies should be devoted to winning what many hoped would be a short war. Three years later, when the Convention convened to discuss how Ulster might fit into the Home Rule scheme, the Great War was still going on. Large numbers of Irish soldiers had been killed on the Western Front and in Gallipoli. Conscription had been imposed in Britain and in most belligerent countries , but not in Ireland. This was resented by some in Britain. Also resented in Britain was the Rising against British Rule, supported by Germany, that had taken place the previous year. Many of those involved were still in prison. So the atmosphere was fraught, not just in Ireland, but in Britain too. The Conservative Party, which had gone to such lengths six years previously to oppose Home Rule was now a predominant part of the UK government, although the Prime Minister, David Lloyd George, was a Liberal. Despite all these difficulties, Irish Nationalist ambitions were high. Partition was rejected on principle, but no very practical ideas were advanced on how to overcome the opposition to the imposition of Home Rule from Dublin in the counties of North East Ulster. There seems to have been an assumption that Britain would force Ulster Unionists to accept Home Rule, although the practicalities of doing this, especially during a war in Europe, were never addressed. The new leader of Sinn Fein, Eamon de Valera, and recently elected Sinn Fein MP for East Clare offered some remarkably simplistic solutions. “If Ulster stood in the way of Irish freedom, Ulster should be coerced”. By attending the Convention, Mr de Valera could have tried persuasion, before resorting to the coercion he was threatening. He apparently felt was simpler for him to blame the British for not coercing Ulster, than it would have been to sit down in the Convention and try to persuade his fellow Irishmen of North East Ulster to accept some form of agreed Ireland. A similar, but less lethal, air of unreality prevailed in Southern Unionist circles. They wanted no partition, and no Home Rule. The Convention was an attempt to reconcile these irreconcilables positions, and , given the unpromising conditions, it made some progress. It found a solution to the Land Question, that subsequently was enacted by the Free State government in the 1920’s. A serious effort was made to agree some form of united Ireland. Ulster Unionists put forward a federal approach whereby an Ulster regional government would have substantial autonomy but within an all Ireland framework. Nationalists were not in favour of this. Nationalists suggested extra representation (appointed or elected) for Unionists in an all Ireland Parliament. Unionists were not keen on this because they feared they would still be outvoted, particularly on the issue of tariffs. Ulster industry wanted continued free trade with Britain, whereas nationalists want the power to impose customs duties on some British goods to protect Irish industries. This issue is arising again in the Brexit negotiations. In effect Unionists wanted to be in a Customs Union with the UK, whereas Nationalists did not. John Redmond was prepared to accept immediate Home Rule, without the power to levy customs duties, but his supporters were not and he had to back away from his proposal. The Convention came close to agreeing a majority report with significant Nationalist and Unionist support, but this was stymied by the big German offensive of 1918 which led the UK government to propose imposing conscription in Ireland. This threat of conscription led to a crisis which destroyed any hope of agreement. Looking back, the pity is that a Convention of this kind was not attempted in 1911, when Home Rule was first mooted. It might not have led to agreement but it might have contributed to a better understanding of the Ulster problem by all shades of Irish Nationalism. 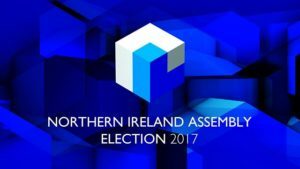 WILL THE 1998 BELFAST AGREEMENT SURVIVE THE UK GENERAL ELECTION OF 2020? 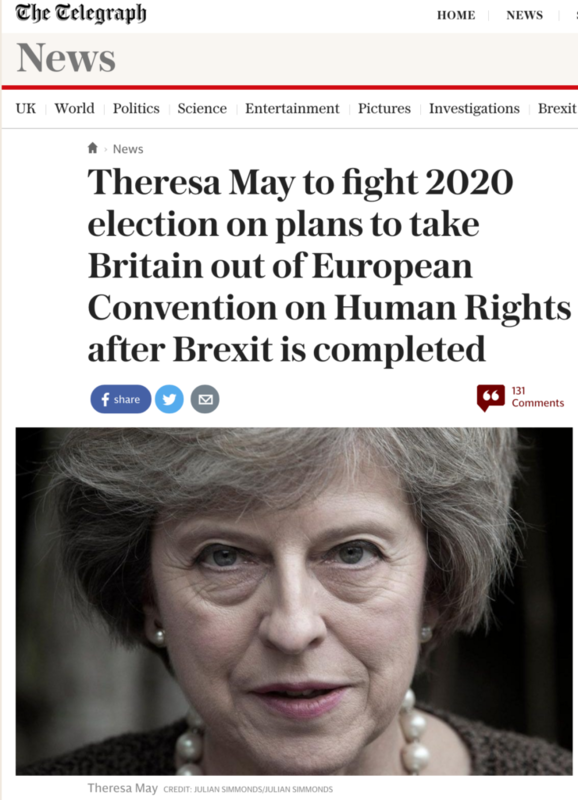 The Daily Telegraph today says that the UK Prime Minister intends to include in the 2020 Conservative Party General Election Manifesto a promise to pull the UK, including presumably Northern Ireland, out of the European Convention on Human Rights (ECHR). According to the story, she does not intend to implement this promise until after the UK has left the EU, which she hopes to have achieved before the 2020 Election. The existing corpus of ECHR law would apparently be incorporated into UK law, but there would no longer be a right of appeal to the European Court on Human Rights, only to the UK Supreme Court. If implemented, this promise would appear to me to breach the terms of the Belfast Agreement of 1998, which is an international Agreement. On the strength of this international Agreement, Ireland amended its constitution. The Agreement was the fruit of years of work by successive Taoisigh and Prime Ministers. There is no mention of the inter relationship of the ECHR and the Belfast Agreement, or of any negotiation on it with the parties to the Belfast Agreement, anywhere in the Daily Telegraph article. Yet the appears to be the result of a very detailed briefing. A purely unilateral UK action seems to be what is envisaged, without reference to the parties, including Ireland. Adherence to the European Convention by the Northern Ireland Administration, and therefore by the UK unless Northern Ireland’s status changes, is built explicitly into the terms of the Belfast Agreement. Paragraphs 5(b) and 5(c) of Strand One of the Agreement require all legislation passed by the Northern Ireland Assembly to adhere to the terms of the ECHR. There are other references to the ECHR in other parts of the Agreement. The ECHR is fundamental to all the human rights elements of the Belfast Agreement. If the UK is no longer a party to ECHR, and no longer subject to the rulings on the European Court on Human Rights, there will no longer be any common basis, between Ireland and the UK, for settling any differences of interpretation that might arise between Ireland and the UK concerning human rights issues in Northern Ireland. It is important to the sustainability of any international agreement, in this case one between Ireland and the UK, that there be a neutral referee in the case of disputes. This neutral element was particularly important to nationalist opinion at the time of the finalisation of Agreement, and the referenda which approved it. It remains so to this day. As far as any disputes might arise about human rights in Northern Ireland, that neutral referee is the European Court of Human Rights. But the UK Prime Minister now apparently intends unilaterally to withdraw Northern Ireland from the ECHR and its court. I believe this is a very serious issue, and bodes ill for the future. 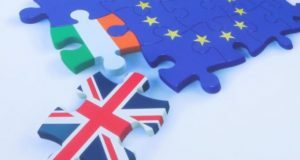 As a former Home Secretary, the current UK Prime Minister should be aware of the constitutional importance of the Belfast Agreement, and indeed of the referendums approving it, in both parts of Ireland, which ended an historic dispute, dating back a very long time indeed. We can only ensure that we do not “return to the border of the past” if there is an appreciation at the highest level that party driven initiatives do not undermine hard won negotiated achievements. I read “Cameron at 10…the Verdict”, by Anthony Seldon and Peter Snowdon, over the summer, to understand how the UK came to hold a referendum on leaving the European Union, whose aftermath will bog down the UK and the EU in unproductive work, for years to come. The first thing to say is that this is a good and well researched book. It shows how the Liberal Democrat /Conservative Coalition came together in an atmosphere of good will and cordiality. It was bedded down by good institutional arrangements, which held it together right to the end. But the cordiality disappeared when the Conservatives campaigned, with venom, to defeat the referendum on the Alternative Vote (PR in a single member constituency). It is interesting to note that the Lib Dems loyally supported the austerity policies of the government, including on tuition fees which did them a great deal of electoral damage. The reforms introduced by the Coalition, in education, health and welfare were important, and enduring. But they were not very different from what might have been done by a government led by Tony Blair. Cameron’s military intervention in Libya, for which he was a much greater cheerleader than Obama, was just as much a disaster as Blair’s intervention in Iraq. But Cameron knew what had happened in Iraq, so there is less excuse for him. Cameron’s idea of a “Big Society”, where local communities take over responsibilities from government, never amounted to much. As one critic said “most people I know do not want to run their local library or school, they just want the service to work”. Cameron’s problem with the European Union was not so much that he was a Eurosceptic, but that, like many Britons, he just did not find the EU interesting at all. Like his compatriots, he thought the EU was something external to the UK, with which the UK did business on an arm’s length basis, rather than something of which the UK was a full member. He did not invest time in it, and thought that problems could simply be sorted out by a chat with Angela Merkel, as if the other countries would always do what she told them. Merkel for her part thought Cameron was “apt to make his mind up too quickly”, and ask for more than he could ever hope to get. She preferred to start her negotiations with modest demands and build on them. In 2007, as a newly elected leader of his Party, he had promised a referendum on the Lisbon Treaty, but by the time he came into office it was too late for that, because the Treaty had been already ratified. But his failure to keep that so called “promise” left him with problems with his backbenchers for the rest of his career. The same backbenchers were also, of course, angry with him because he had not won the election in 2011, and instead had to opt for a Coalition with the Europhile Liberal Democrats. 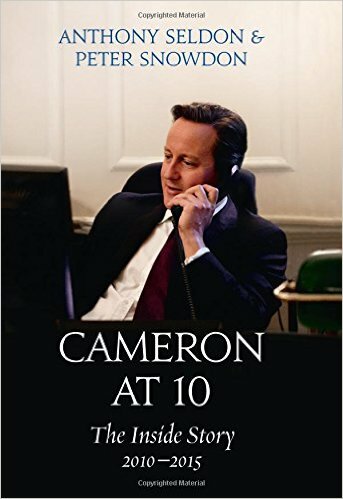 The authors of this book think that Cameron’s position was so weak that he had no option, in 2013, but to promise an In/Out referendum. I disagree. While there was a real threat from UKIP, I do not believe his party would have brought him down over this issue. There is no evidence that Cameron gave any serious thought to what ought to be done if the people voted for “Leave”. When he came to fight the Referendum itself, he chose to appeal only to people’s pockets, and not to their hearts, or to their sense of self respect. He could have pointed out that in 1914, Britain went to war, not for its Empire, but for Europe…to defend Belgian neutrality. He could have reminded his fellow citizen that Britons went to war in 1939, also for Europe, to defend Poland. Such an appeal to patriotism could have countered the xenophobia that occupied the emotional space, that his materialistic campaign left unoccupied. But then it emerges in this book that Cameron himself sincerely believed in having a cap on immigration, including from Poland, the country Britain went to war to defend in 1939. In 2010, he had said “Kick us out in 5 years, if we don’t deliver a cap on immigration”. A well informed Party Leader would have known, even then, that such a promise was incompatible with his country’s obligations as an EU member! 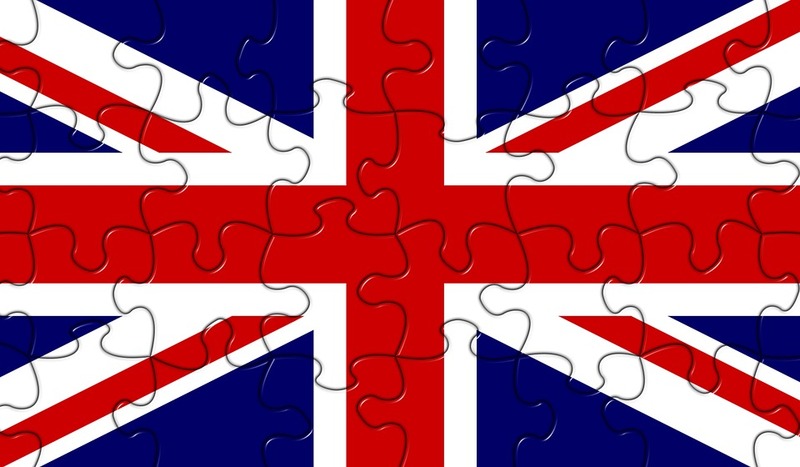 Disengaging the UK from the EU will be like undoing all the stitching of a patchwork quilt, and then re stitching some parts of the quilt together, while making a new quilt of the rest. The UK is, at the moment, stitched into thousands of regulations and international treaties, which it made as a member of the EU over the last 43 years. Each piece of stitching will have to be reviewed both on its own merits and for the effect rearranging it might have on other parts of the quilt. This is, first and foremost, a problem for the UK itself. We all think we know what UK voters voted against on 23 June. But nobody, even in the Conservative government itself, has a clear idea what UK voters voted FOR. People voted to leave the EU for contradictory reasons. Many voted to leave because they wanted more protection from global competition. On the other hand, many of the Leave campaign leaders wanted to get out of the EU, so they could deregulate their economy, dispense with EU social rights, and promote more global competition and lower costs ( wages) in the UK economy. The UK government must first decide which of these economic policies it wants and, only when it has done that, can it decide what sort of relationship it wants with the EU. MUST THE UK BE OUT OF THE EU BEFORE IT MAKES A DEAL? The 27 EU heads of government, on 29 June, told the UK that any trade agreement with it will be concluded with it “as a third country”. This could be interpreted as meaning that the UK must first become a “third country”, by withdrawing from the EU, before it can have a trade agreement with the EU. This could mean that the UK would have to be out of the EU, before it knew what terms it might get on trade. This would be a very hard line EU position. If that is what the 27 leaders meant , it is probably contrary to Article 50 of the Lisbon Treaty, which says a Withdrawal Treaty must take account of the “ framework” of the withdrawing country’s ”future relationship” with the EU. ……..OR MUST THERE BE TWO SIMULTANEOUS NEGOTIATIONS? one on the” Framework” of the future relationship. I believe the two treaties must be negotiated, simultaneously and in parallel, and that the Framework agreement cannot wait until the UK is already a “third country”, as seemed to be implied by the 27 leaders on 29 June . 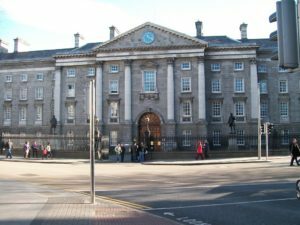 Ireland cannot afford to wait ,until the UK is already a “third country”, before border, travel, and residency issues between Ireland and UK are sorted out. We need these issues sorted out before the UK leaves. As with a divorce, the Withdrawal Treaty will be about dividing up the property. It may be easy enough to negotiate. The Framework Treaty will be about the future, and like marital disputes about access to and care for children, will prove to be much more fraught and complex. The question of whether there is a “hard border” or not, will flow from what the UK looks for, and what it gets, in its Framework negotiations. Nobody knows yet what the UK will look for, so this question is impossible to answer. The 27 EU leaders rightly insisted that the four freedoms – freedom of movement of people, goods, capital and services- go together. Nobody has any idea yet how the UK will propose to get around that. If the UK were to heed the call of Liam Fox MP, the UK’s new Minister for International Trade, that the UK leave the EU Customs Union, so it could negotiate trade agreements with countries outside the EU, this would mean an immediate hard border in Ireland. The Taoiseach’s diplomacy in recent days has probably helped head that threat off. Implementing Minister Fox’s proposal would have breached a UK Treaty obligation, a very serious matter for a country that relies on 30000 international Treaties. The sort of border we have in Ireland will depend on the shape of the final UK/EU Framework agreement on all the four freedoms. Ireland can do no side deal with the UK. And if Ireland is to influence the EU positions in its favour, it has to present its case as beneficial to Europe as a whole. It cannot be, or be seen to be, on both sides of the table at the same time, in what will prove to be a highly contentious negotiation. Until it leaves, the UK is still a member of the EU, and is bound by all EU rules. It will fully participate in all key EU decisions, except those concerning it’s own exit terms. This means that the UK cannot do trade deals with other countries, while still in the EU. Indeed it would appear it cannot even enter into commitments about future deals, particularly ones that might undercut EU negotiating positions. This is because, as long as it is still an EU member, the UK must, under Article 4 of the Treaty, act in “sincere cooperation” with its EU partners. The meaning of “sincere cooperation” was elaborated by the European Court in judgements it made on cases the Commission took against Germany and Greece ,to overturn separate understandings each had forged with other countries, on matters that were EU responsibilities without EU involvement . So, to ensure that he stays within the law, Liam Fox may have to take a Commission official with him on all his trade travels around the globe, at least until the UK has finally left the EU! Indeed the more closely the UK government looks at its options, the longer it may take to decide when to trigger Article 50. The leaders of the EU 27 should not rush the UK on this. 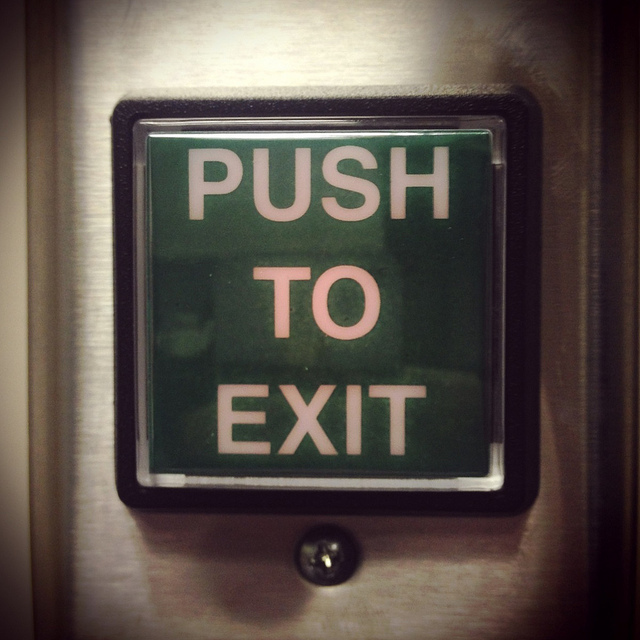 Short term uncertainty is a very small price to pay for avoiding a botched and ill prepared exit negotiation. Everyone would lose from that. The UK civil service did not, after all, expect to find itself in this position. Indeed UK civil service studies, done long before the Referendum, concluded that the UK’s then existing relationship with the EU was just about right. Furthermore, once Article 50 is triggered, the UK cannot, easily or legally, change its mind and revert to the status quo, EVEN after a General Election. Meanwhile, Europe, with so much other work to do, has to turn inwards and devote itself to unravelling 43 years of interweaving between Britain and Europe. All this highly demanding technical work has to be done, at a time when Europe should be looking outwards towards the opportunities and threats of a rapidly changing and unstable world. Now that the UK has voted to leave the EU, the first step has to be taken by the UK Government. It must decide what sort of relationship it wants to have, trade wise, with the rest of the world. At the moment, that is governed by agreements negotiated, for the UK, by the EU. If the UK simply leaves the EU, all those agreements will fall, as does UK membership of the World Trade Organisation(WTO). Agreements with dozens of non EU countries, will have to be negotiated again, at the same time as negotiating with the EU. A lot of work. The EEA option could be put in place quickly and would not disrupt trade all that much. The EEA is a readymade model for external association by a non member with the EU. 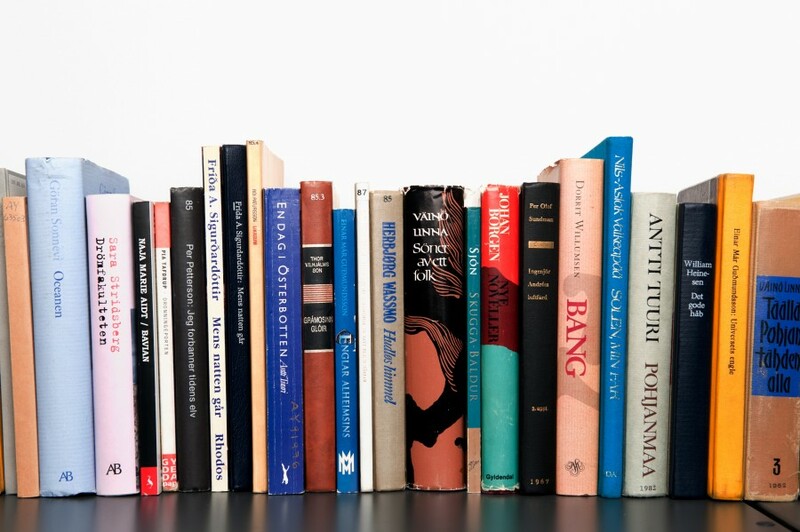 It could be taken down from the shelf, so to speak. But, as an EEA member, the UK would still have to implement EU regulations and contribute to the EU budget. It would not allow curbs on EU immigration. The EEA option has been dismissed by “Leave“ campaigners, but it does involve leaving the EU, and complies with the literal terms of the referendum decision. If the UK experiences severe balance of payments problems over the summer, the EEA option may become attractive. The UK already has a big balance of payments deficit anyway and capital inflows may be inhibited by the Leave vote. The EEA option would buy time, and would not preclude leaving altogether eventually. The second option, a special trade deal, would be much more difficult. It would require a detailed negotiation on every type of product or service sale between the UK and the 27 member countries of the EU, including across our border. Such an agreement would take years to negotiate (probably 7 or 8 years), because it would be subject to domestic political constraints, and political blackmail attempts, in all EU countries, each of whom would have to ratify it. If it proposed curbs on immigration from the EU, the EU countries affected would make difficulties with other aspects of the deal, as a bargaining counter. It is unlikely that a Trade Agreement would allow the UK to sell financial services into the EU. Indeed it would be in the interest of EU countries, that might hope to attract financial services, to make sure the UK got few concessions . The third option…leaving the EU with no agreement… could come about, either because that was what the UK chose, or because the negotiations on a special trade deal broke down or were not ratified by one or two EU states. It would require the application of the EU common external tariff to UK or Northern Irish products crossing the border into the Republic. Average EU tariffs are around 4%, but on agricultural goods the mean tariff is 18%. The imposition of these tariffs is a key part of the Common Agricultural Policy, which protects the incomes of EU farmers. We would have no option but collect them at customs posts along our border. All forms of food manufacture and distribution within the two islands would be disrupted. The disruption of the complex supply chain of the modern food industry would be dramatic and the knock on effects impossible to calculate. A similar effect might be felt by the car parts industry, which is subject to tariffs, and is important to some parts of England. Meanwhile the remaining 27 countries of the EU, and the EU institutions, will have a lot of thinking to do too. They need to respond decisivly to the (false) claim that the EU is not democratic. All EU legislation has to be passed by a democratically elected European Parliament, and also by a Council of Ministers who represent the democratically elected governments of the 28 EU countries. The members of the European Commission must be approved by the democratically elected European Parliament. 2. )To create a closer link between National Parliaments and the EU, a minimum of nine national parliaments agreeing should be sufficient to require the Commission to put forward a proposal on a topic allowed by the EU Treaties . National Parliaments can already delay EU legislation, so they should be free to make positive proposals too. That said, the EU should avoid over promising, and should not allow itself to be blamed for all the problems people face in their daily lives. The EU is not an all powerful monolith that can solve the problems caused by technological change and globalisation. It is just a loose voluntary confederation of 28 countries, with no tax raising powers of its own. Nor is the EU responsible for debts mistakenly taken on by its members. If the losers of globalisation and technological change are to be sheltered from misfortune, it is for the 27 states, not the EU itself, that has the taxing power to redistribute money from the winners from globalisation to the losers. The UK has not been particularly generous in this regard. Its welfare system is modest, and its investment in productivity improvement has been poor. In some respects, UK voters have just mistakenly blamed the EU. for the effects of the omissions, and under performance, of successive UK governments.